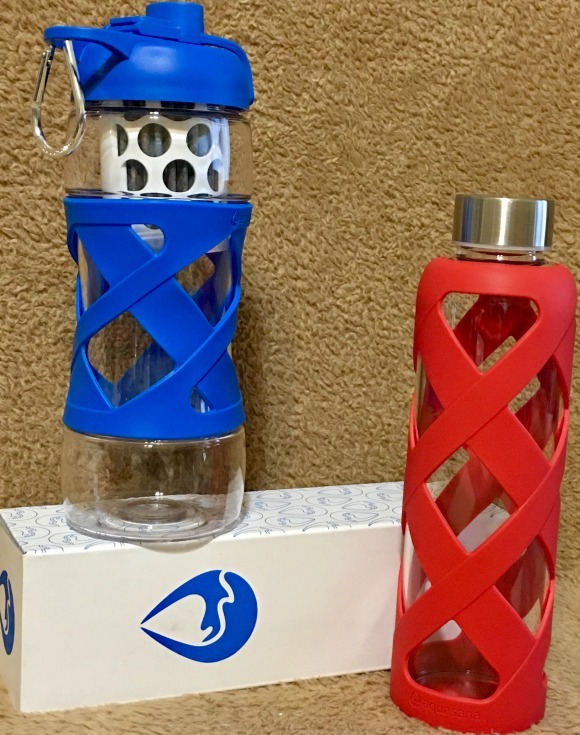 Stacy Tilton Reviews: Aquasana makes hydration easy! I've been working on getting myself back into a healthier lifestyle again. I did it before so I know what all I need to do to do it again. One of the most important things I know I can and need to do is drink plenty of water...yes WATER. Not coffee, tea, soda, juice, you know all those things that have that great flavor. Drinking water was a struggle for me last time I went on a weight loss challenge. So I decided this time to give myself something to help me along...two new water bottles. One with a built in filter so I can have clean water no matter where I am. And one that I can fill at home and keep in the fridge. I don't know what it is about having something fancy to drink from, but it's actually helping. I like that I can have fresh, clean water to drink anytime and anywhere. Plus the bottles are super cool looking and feel great when you hold them. The Clean Water Bottle removes over 99% of bacteria, lead, chlorine, cryptosporidium, and giardia. Simply fill with 22 oz. of tap water and drink. Each filter replaces over 600 bottles of bottled water. Save money by having a portable water-bottling plant in your cup holder.